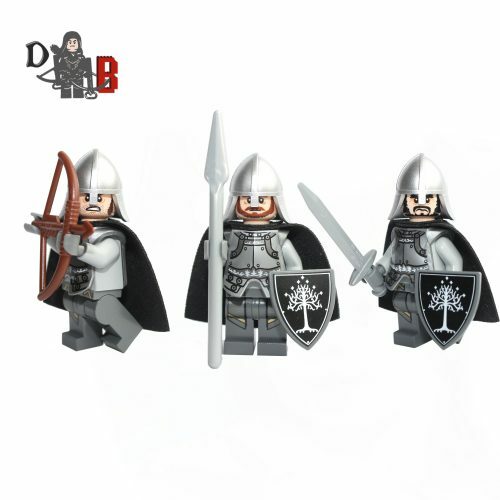 These custom designed Minifigures are based upon Gondor Soldier’s from the popular Lord of the Rings films. Includes professional custom printed white tree shields. Features a captain with sword and shield, spearman and bowman. All Parts are brand new, and are supplied unassembled in grip sealed bags.